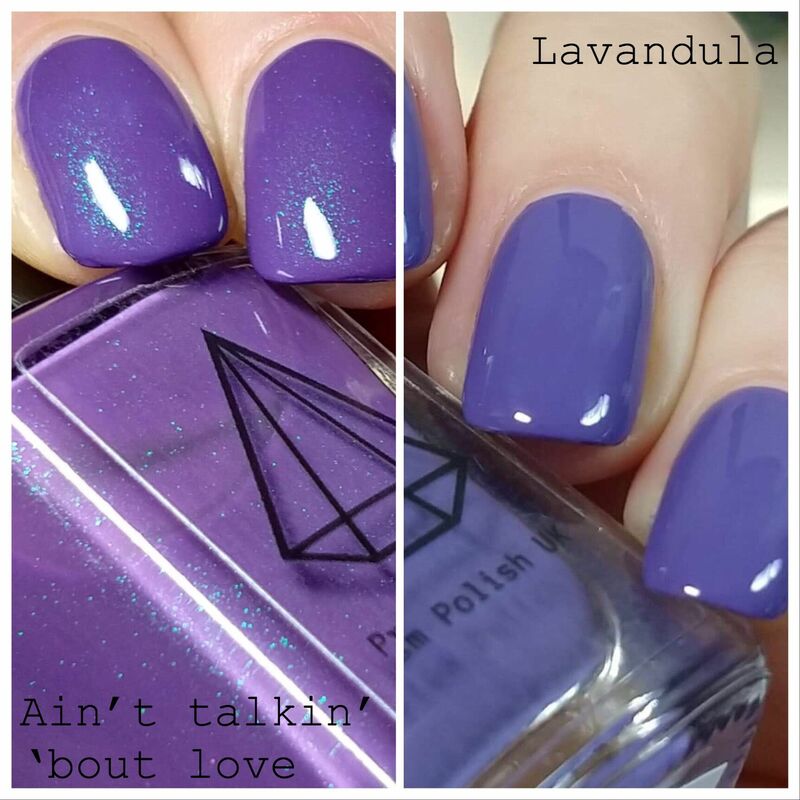 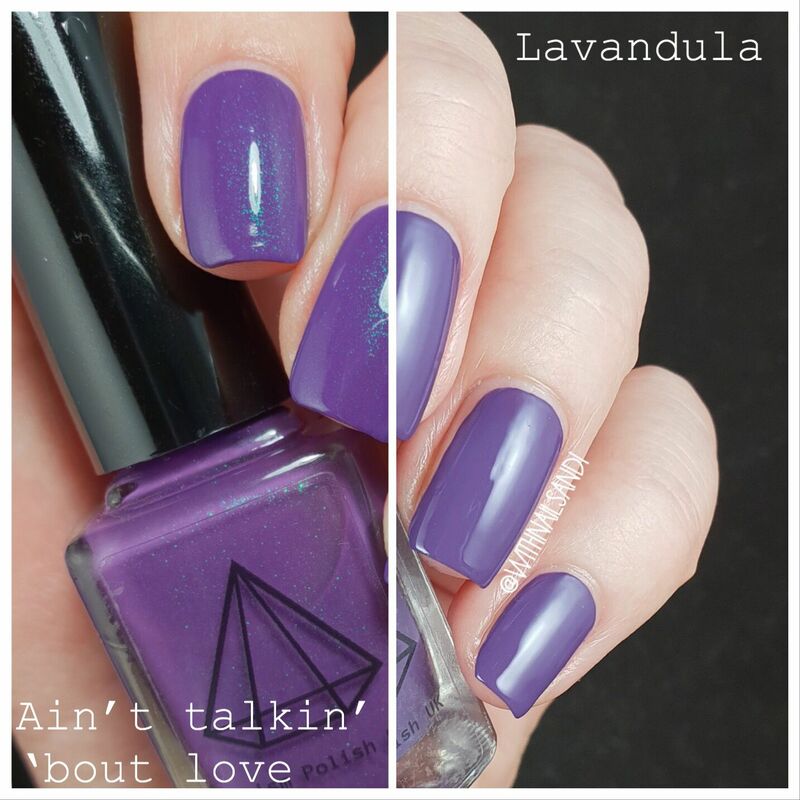 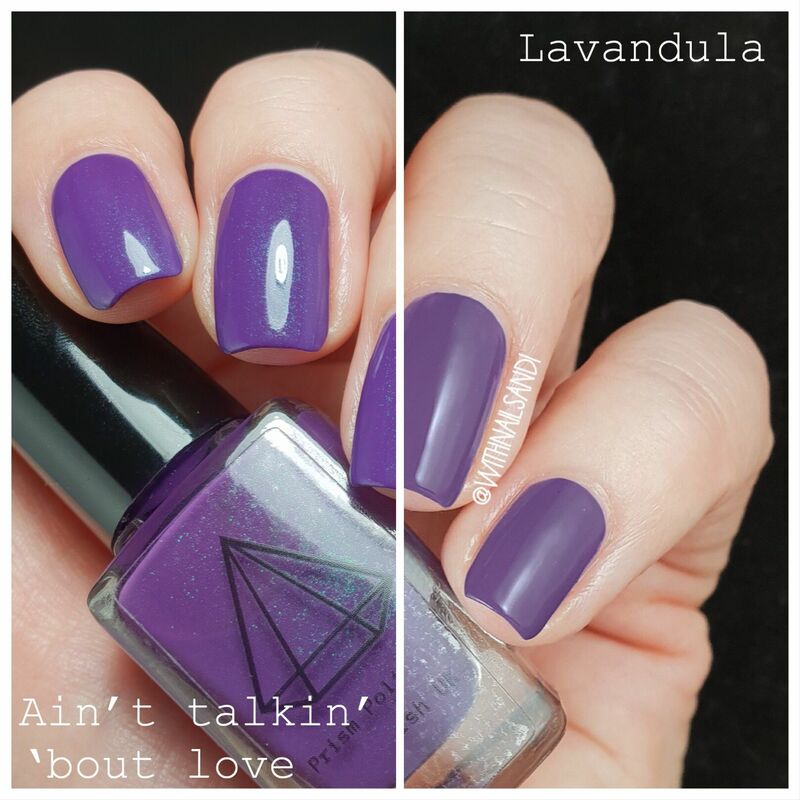 Lavandula is a lavender purple creme designed to complement and be used underneath Ain't talkin' 'bout love. 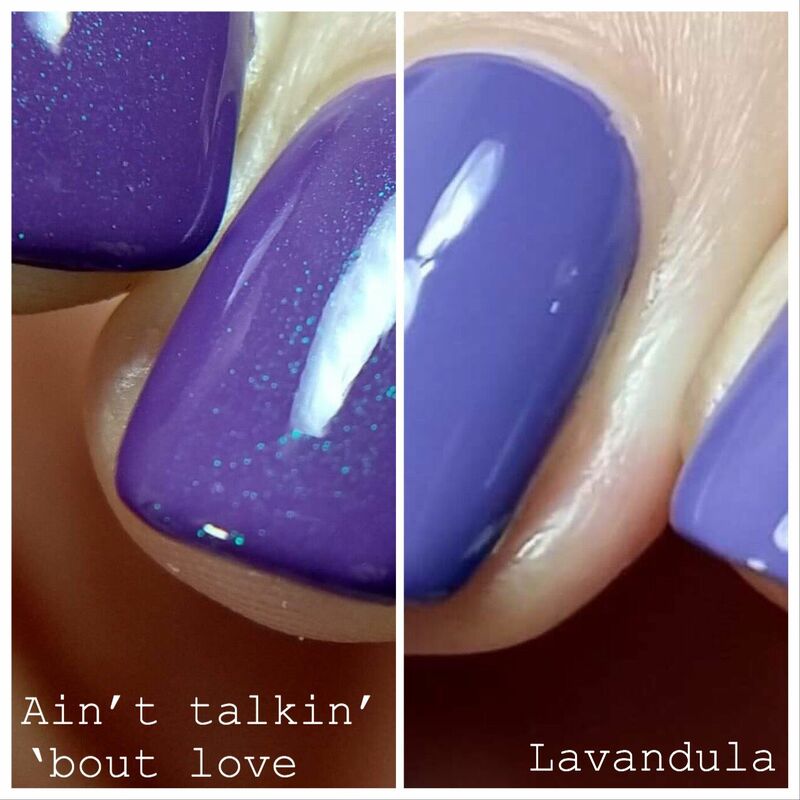 Ain't talkin' 'bout love is a sheer polish to allow the rare and expensive blue/green unicorn pee sibling pigment* to shine through. 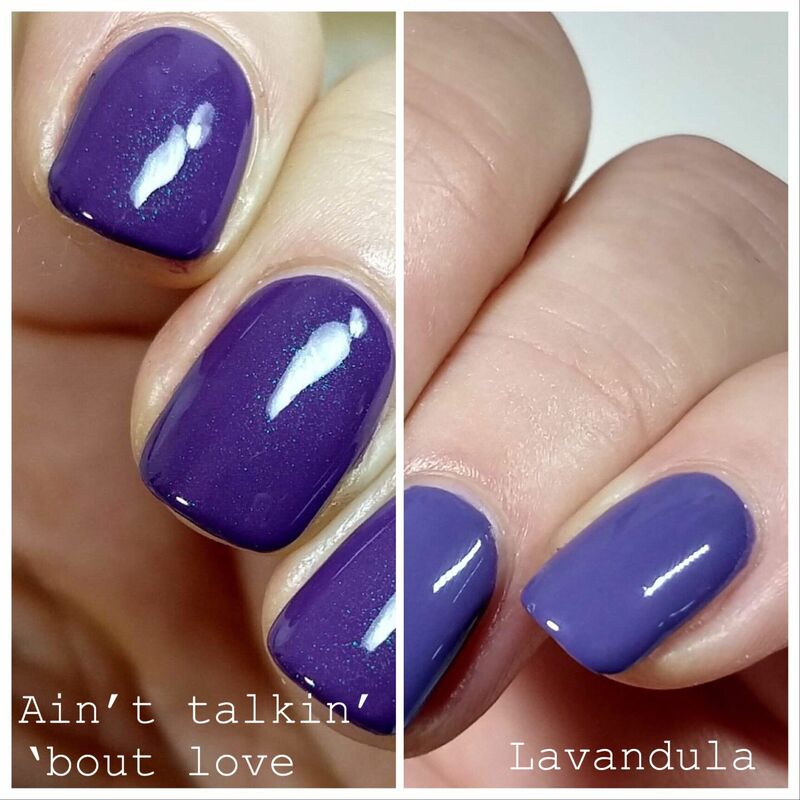 To help you save it, simply use one coat over one or two coats of Lavandula for a beautiful opaque shimmery effect.